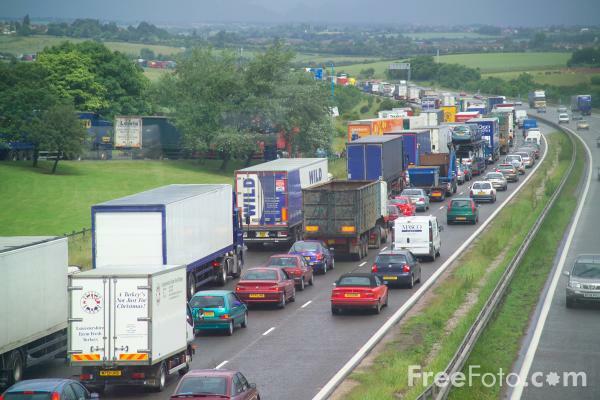 Photograph of Traffic Congestion on the M1 Motorway near Junction 30, South Yorkshire. The M1 was the first long-distance motorway to be built in the United Kingdom. VIEW: More images from the category Traffic Congestion, M1 Motorway or around the same time .